Are you sure you want to remove Alice's Adventures in Wonderland from your list? As popular now as it was 150 years ago Alice's Adventures in Wonderland is probably the most influential book of its kind ever published. When a young girl falls down a rabbit hole she finds herself in a strange land populated by extraordinary anthropomorphic characters who appear quite serious but talk and behave nonsensically. 2009, Sterling Publishing Co., Inc.
in English - Rev. HarperFestival ed. June 12, 2007, Digital Scanning Inc.
in Irish - An chéad chló. Alice's adventures in Wonderland: Lewis Carroll ; illustrated by DeLoss McGraw. in English - Dover large print classics ed. in Dutch - Tweede druk. Alice in Wonderland: jigsaw book. in English - The definitive ed. in English - 1st HarperFestival ed. 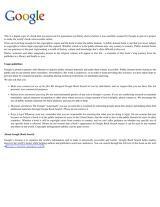 in English - 1st Aladdin pbk. ed. in Italian - 1. ed. I Delfini Fabbri Editori. in Spanish - 5a ed. in Spanish - Ed. íntegra. in English - Hallmark Entertainment Books hardcover ed. in English - Definitive ed. in French - Ed. spéciale. in Spanish - 1a ed. en "Biblioteca temática." in Italian - 1. ed. "Biblioteca d'oro." December 31, 1996, Deutscher Taschenbuch Verlag GmbH & Co.
Lewis Carroll's Alice's adventures in Wonderland: &, Through the looking-glass and what Alice found there. in Oromo - 6th ed. in English - 1st Barefoot ed. 1993, Wings Books, Distributed by Outlet Book Co.
1992, W.W. Norton & Co.
1992, J.G. Ferguson Pub. 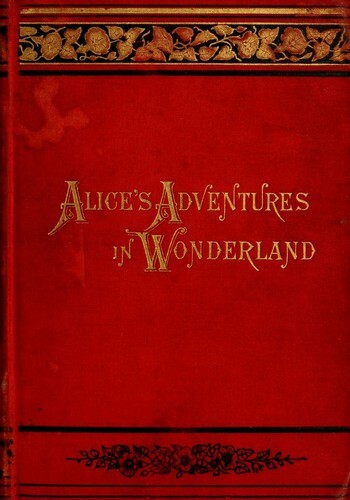 Co.
Alice in Wonderland: authoritative texts of Alice's adventures in Wonderland, Through the looking-glass, The hunting of the snark, backgrounds, essays in criticism ; edited by Donald J. Gray. in Portuguese - 3a. ed. in Japanese - 12th print. in Russian - 2-e stereotip. izd. Fushigi no kuni no Arisu: Ruisu Kyaroru ; Hara Sho yaku. in English - Little Alice ed. in English - idged edition]. 1986, Golden Book, Western Pub. Co. The nursery "Alice": containing twenty coloured enlargements from Tenniel'sillustrations to "Alice's adventures in Wonderland"
De avonturen van Alice in Wonderland. in French - Ed. revue et corrigée. Alice's adventures under ground: being a facsimile of the original ms. book afterwards developed into "Alice's Adventures in Wonderland"
in English - Derrydale 1979 ed. 1979, Genesis Publications Ltd. in association with Australia and New Zealand Book Co.
January 22, 1979, Dover Publications Inc.
in Japanese - 7th ed. in Japanese - 8th ed. Alice in Wonderland: adapted from the classic tale by Lewis Carroll. Kodomobeya no Arisu =: The Nursery "Alice"
in English - Giant illustrated ed. in German - Erste Auflage. Ai-li-si meng you qi jing. 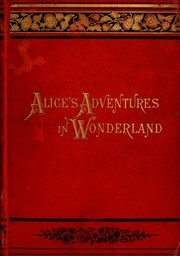 The annotated Alice: "Alice's adventures in Wonderland" and "Through the looking-glass"
in Undetermined - revised edition. 1969, "Publicacion de lAbadia de Montserrat"
Alice's adventures under ground. : Facsimile of the author's mauscript book with additional material from the facsimile ed. of 1886. 1965, The English Language Pub. Alice in Wonderland. : Through the looking glass, etc. [by] Lewis Carroll [pseud.] Introd. by Roger Lancelyn Green. Alice in Wonderland: Through the looking glass, etc. The annotated Alice: Alice's adventures in Wonderland & Through the looking glass, by Lewis Carroll [pseud.] Illustrated by John Tenniel. With an introd. and notes by Martin Gardner. in Spanish - 2nd ed. in English - Large type ed., complete and unabridged. in English - 7th impr. Alice's adventures under ground: after Lewis Carroll's original manuscript which later became Alice in Wonderland : The original manuscript of "Alice's adventures underground," upon which "Alice in Wonderland" was based, was written and illustrated by Lewis Carroll ... At present the original manuscript is in the British Museum. in English - 14th print. 1942, Doubleday, Doran & company, inc.
Alice au pays des merveilles: et "De l'autre côté du miroir"
1939, "Tarry at the Taft"
1937, The Platt & Munk co, inc.
in English - Centenary ed. / with preface by Hugh Walpole. 1931, Garden City Publishing Co., Inc.
1928, Reader's Library Pub. Co.
1928, Little Blue Book Co.
Alice in Wonderland: panorama with moveable pictures..
1926, J.H. Sears & Co.
1923, J. H. Sears & company, inc.
Alice's adventures in Wonderland; and Through the looking glass. in English - Little folks ed. Microform in Gujarati - Prathamāvr̥tti. 1916, S. Gabriel Sons & Co.
1907, W. Heinemann, Doubleday, Page & Co.